Before I started the national campaign to end horse slaughter in 2001, I spent time at auctions, watching kill buyers at work at auctions in Pennsylvania and Ohio; I followed single- and double-deck trucks crammed with horses on their way to Mexico; and I toured the now-closed Cavel International horse slaughter plant in Dekalb, Ill. What I saw in that brutal place stays with me: the callousness of men with fiberglass rods striking horses that slid down ramps covered in urine and feces, the way the animals fell and climbed over each other because of an open, three-foot-deep drain, the white-eyed panic of horses smelling blood in the kill chute, the sound of the bolt gun. I’ve now worked as a lobbyist on animal-welfare issues for 20 years, and experiences like being inside that slaughterhouse enable me to speak credibly to the issues that I’m working on. Firsthand knowledge is how Return to Freedom makes a difference, too. When I started working with RTF last year, doing meetings with members of Congress or staff members, either on my own or alongside other national advocacy organizations, it was obvious that I was bringing the organization’s knowledge and experience directly to legislators and policymakers. I am now not just a lobbyist from Washington, D.C.; I am a lobbyist working for an organization caring for hundreds of wild horses and burros while properly – and humanely — managing the size of its herds using proven fertility control and employing good management practices. This was the perfect opportunity for both of us to bring the experience and science-based wild horse management practices of RTF directly to the halls of Congress and offices of the Bureau of Land Management. Having visited RTF’s American Wild Horse Sanctuary – and, in particular, seen the herds on the rolling hills of its 2,000-acre satellite sanctuary in San Luis Obispo — I can paint a picture of what humane management looks like. I can go back to Washington and show them that, yes, there is a program that is working well, and BLM can and should be doing something like it. I’m bringing Return to Freedom to the Hill. There’s no doubt that issues like preserving wild horses and ending horse slaughter are emotional ones. Lobbyists for animals start with the stigma of being considered “animal-rights activists,” however. The foundation may be simply that we want the government to do the right thing for wild horses and burros, but we also have economics and science on our side. We must be what I call hyper-factual with the information that we present: We use accurate numbers, we avoid too much emotion, and we present solutions that are science-based. I can’t say the same for those opposing many of the modest measures we are advancing. Agencies like the BLM and special interest groups often present wildly unsubstantiated claims and many staff and legislators take them as fact (i.e. too many wild horses destroying the range, wild horses not a native species). It is left up to me, organizations like Return to Freedom, and the public to undo the myths created by those wanting all wild horses gone. I have found that some advocates have an image of lobbying Congress as something glamorous and exciting, when in fact is more often just the opposite. Many of my meetings are 10-15 minutes long with staffers in their 20s who may also work on a variety of legislative issues for a member of Congress. I spend my time connecting with them and going over the facts facing wild horses, dispelling the myths advanced by the BLM and explaining how we can ensure they are protected for future generations. I follow up with each of them over email with additional materials. Throughout the year, I run into staff in the halls, I may stop in their office to say hello, I might send them an article on an issue of relevance or just a note to stay connected. In that way, I hope to create a relationship with staff members, so that they trust me and know the information that I supply is factual, helping the constituents in their district that support Return to Freedom have their voices heard when it comes time for a committee hearing and vote. I need our message and facts on their mind when briefing the legislator when action is needed. You know you’ve sparked interest in a Congressional staffer tells you how much she wants to see RTF’s sanctuary and its wild horses for herself. Return to Freedom’s firsthand knowledge long been an invaluable resource for educating the public, federal agencies and members of Congress about the plight of America’s wild horses and burros. But having that voice in D.C., at the table and walking the halls of Congress every day is something that was missing. I am grateful for the opportunity to be doing it for the organization and for the wild horses and burros RTF works so hard to protect and preserve. I’m also pleased to being working for wild horse supporters like you. 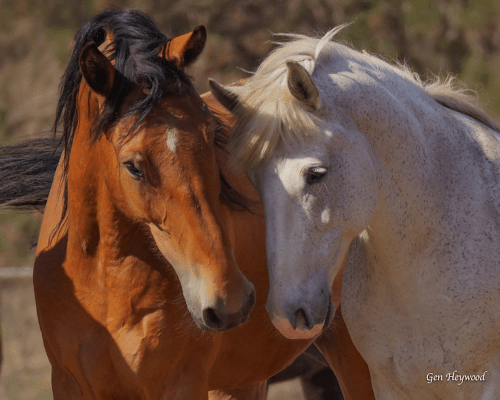 It’s your calls and messages to your members of Congress that help open the door for me, giving me the chance to tell the story of wild horses and burros – and the proven, humane solutions that can preserve their future on the range.